I love carving stamps! I've shared these visuals and information in previous blogposts but have assembled everything together here for easy reference. 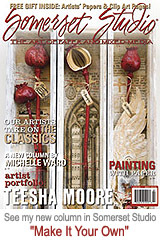 I will be talking about WHY you should carve your own in my column for Somerset Studio May/June 2012. As promised in the article, I am sharing how to carve here. Quick reference for supplies - I prefer Safety-Kut block printing material to carve. It is white and cuts easily but doesn't crumble like some other softer materials. Go HERE. (eNasco.com, see Printmaking, then Block Printing, then Safety-cut) And for tools, look at the Lino Cutters and Handles. It would be nice to have at least two handles with one 'V' and one 'U' shaped blade, or you can buy a set of blades. Go HERE. If you've never tried it - it's super easy. You can get everything you need at Michaels (or your local craft store). Eraser carving block comes in both pink and white. You can get the "V" shaped carving tool, or small exacto blades are fine too. Your design can be drawn right onto the surface, or you can take a xeroxed image and transfer the toner image several ways - I use Goof-Off as it has xylene in it (similar to paint stripper). Yes, I know it's toxic and there are probably safer ways to go about it but this is what I do. Start small if you've never carved - you want to experience the thrill of success before taking on something that is intricate and labor intensive. This shows a 12" square stamp I carved after much practive on smaller stamps. I'll tell you where I buy my carving blocks at the end of this post. Don't know what you would design yet? Want a clever idea to start with? Why not make a shadow, or 'go-with' stamp? Have a favorite stamp image that needs a colored foundation or background to help make it pop? Try cutting your own. Or maybe you want to design a signature stamp - like your initials. Keep in mind if you draw the design onto the carving material it has to be reversed. I order Safety-Kut from Nasco - they have small, medium, and huge sheets, and my favorite: classroom packs of 36 pieces, each 2" x 3", and NOW they have terrific pre-cut-circles. Go HERE. 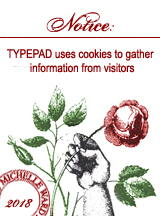 (eNasco.com, see Printmaking, then Block Printing, then Safety-cut) And for tools, go HERE. Need more help? There are some great tutorials online, look up eraser carving, or block printing. And there are several books on the subject - Art Stamping Workshop, by Gloria Page is one. And if you are really into it you may want to get the dvd - like a workshop from home. If I remember other posts I've done on carving I will add to this tutorial.